The guidelines used by the human content quality raters has been updated by Google. The revised version provides over 160 pages that share information on how to evaluate the content views online and provide feedback to Google. There are more than 10,000 quality raters currently working for Google, they’re spread out all over the world and each one helps Google to evaluate the search engine results. Search Quality Raters are provided with searches to perform on Google. They perform the search and then rate the quality of the pages that are shown at the top of the SERPs. Not a bad job for those who love to sit and search on Google all day. However, the guidelines show that there’s quite a lot more to it. The latest revisions to the guidelines have a few changes included, most notably Google now wants the raters to check out the pages and the content creators working on those pages. Therefore, it’s important to make sure your ‘About Us’ pages are up-to-date with content that will benefit those working on your website. 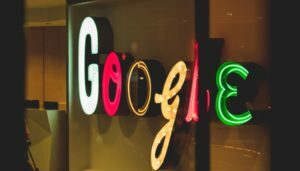 If the reputation of the content creators is good enough, Google will rate the page higher in the search engines. This goes for all types of content, from videos to podcasts and everything in between. The reason for the added focus on creators is to do with the fake news backlash. Google wants to ensure the content being shared at the top of the search engines is valuable to the user. They want to ensure it’s trustworthy and will benefit the whole user experience. Creating pages with the sole purpose of ranking in the search engines is also not appreciated by Google’s quality raters. Pages that have been obviously created to push keywords will be marked down. The content must have a beneficial purpose with the user in mind. The raters cannot physically change the position of any pages in the search engines. The work they perform is used to improve the search algorithms. Their feedback may influence pages that have been rated poorly once the algorithm updates, but other pages that have not been reviewed will also be impacted. What can you do with this information? Take note and begin to improve the bios that are added on your website. Make sure you sing the praises of your content creators on your ‘About Us’ pages and in the widgets – show off their skills, let them broadcast their qualities to help benefit your website and their own reputation.